Attorneys spend millions on advertising in order to bring more traffic to their firm. Sadly, many do not have proper systems in place to help them effectively manage the increased amount of calls and inquiries their ads generate. Intake is a crucial component of a successful law firm, but it is frequently ignored. While answering calls is an important part of any business, it is especially vital for attorneys. When people call an attorney’s office, it is usually because they need help immediately. When they’re directed to your voicemail, or worse, to an unpleasant receptionist, they’ll be quick to not only take their business elsewhere but make their poor experience known to the public through a bad online review. In today’s digital world, where people turn to Google and other review-based platforms before hiring a service, attorneys cannot afford to ignore the way they communicate with potential clients. Call center management for lawyers will help your firm mitigate the costly effects of missed phone calls, improving your revenue and your reputation among the community. 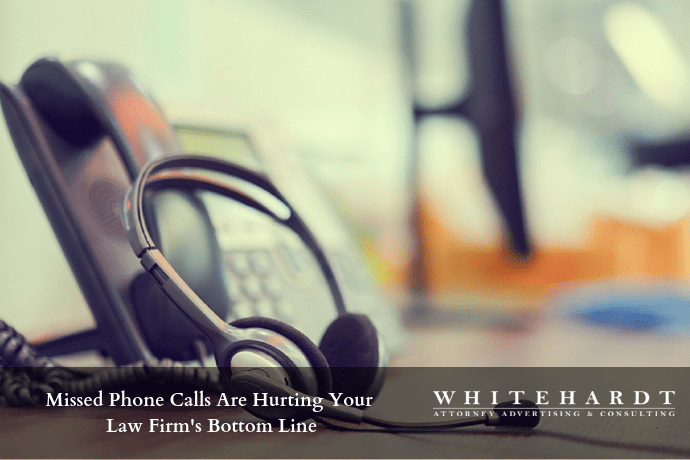 Missing phone calls is one of the biggest mistakes an attorney can make, however, from the office to the courtroom to client meetings, most attorneys are busy and don’t have time to answer the many calls they receive on a daily basis. Attorneys can avoid missing phone calls by implementing an intake system that ensures they’re able to speak with every potential client that calls. When your firm misses a call, you’re also missing out on a lead that could possibly turn into a signed case and money in your pocket. Allowing an advanced call center to handle your call volume will ensure you don’t lose out on quality cases simply because you didn’t answer their call. Attorneys invest large sums of money every month to keep their phones ringing. In fact, attorneys were “projected to spend $892 million on television advertising alone” in 2015, according to the Institute for Legal Reform. With the aggressive focus on advertising, attorneys commonly underestimate the value of picking up their phones when they ring. The truth is your advertising efforts will be wasted unless you are prepared to handle the calls that your ads deliver. Employing an answering service will make the most out of your advertising investment by ensuring that your firm is available to take calls days, nights, and weekends. If you want to spend your ad dollars wisely, you need to have an effective call center managing your calls. Without the help of an answering service, the burden of taking all potential and existing client phone calls falls onto your staff. This is a time-consuming task that will likely distract them from their other responsibilities. With a call center handling this important task for you, your employees can spend less time fielding calls and more time working on current cases, optimizing everyone’s efforts and making your entire office more effective. A professional intake service will improve the time, organization, and practical needs of your law firm. However, simply answering phone calls is not enough. 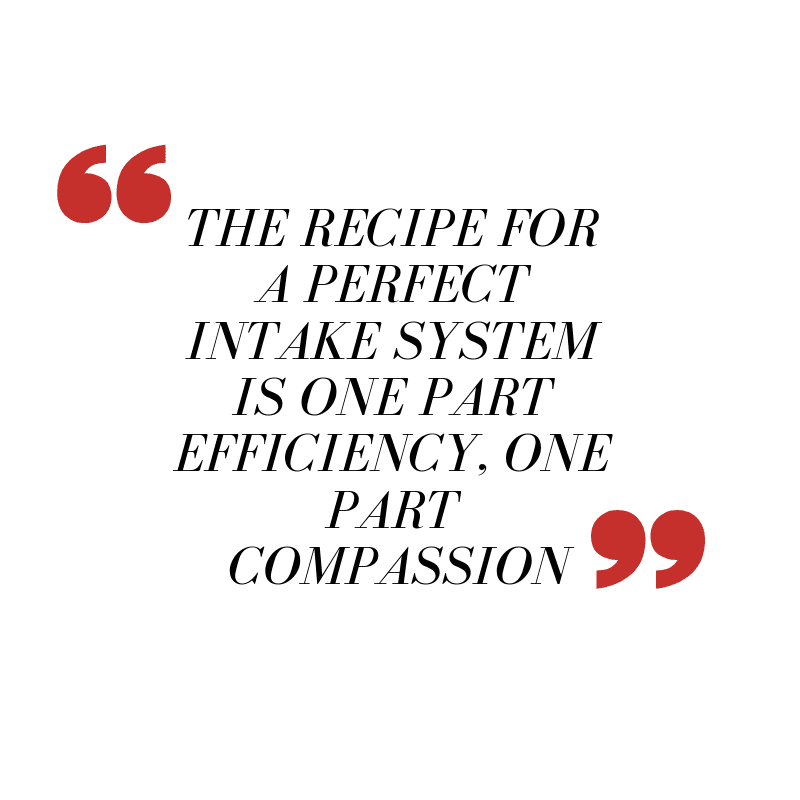 The recipe for a perfect intake system is one part efficiency, one part compassion. For increased efficiency, you need a legal answering service that will not only answer your calls but allow you to customize how they are handled and which types of leads to prioritize over others. In other words, taking messages from every caller won’t do. Rather, you need an experienced call center that answers every call but delivers only qualified leads that you’re interested in pursuing. Compassion is equally important to your intake system. Phrases such as “I’ll call you back later,” “We can’t help you with that,” or “What do you want?” shouldn’t be in your receptionist’s vocabulary. No one should call your law firm and hang up feeling as if they were brushed off or ignored. Instead, every caller should be welcomed with care and patience. This will provide even rejected leads with a positive customer service experience. Whitehardt, a leading, full-service attorney advertising agency in Nashville, Tennessee, offers the most sophisticated call center solutions in the country. With an advanced scripting and training program, our call center can qualify the leads your law office receives to help you sign more cases with ease. We provide services at both the local and national levels and have improved the intake systems of law firms across the country. In addition to prioritizing leads based on your needs and goals, our compassionate intake specialists know how to best represent your firm and make a great first impression on every caller. Working from an innovative script, we strive to establish a trusting relationship with potential clients on your behalf. While many agencies are simply focused on making your phone ring, Whitehardt’s call center professionals are dedicated to ensuring you’re prepared to handle a large volume of calls. When it comes to call center management for lawyers, choose Whitehardt. We’ll handle your incoming calls for you, so you can focus on your current caseload. To learn more about how our comprehensive answering service can improve your revenue and reputation, don’t hesitate to call us at (615) 577-1010 or fill out our contact form to schedule an initial consultation.